This full-sized addition to our rotomolded slide line (heliX, TurboTwister® and Cyclone) stands 7'4" tall to the top of the handrails, and is available in sandstone and gray granite. Enclosed ladder and molded handrail design for maximum safety. Our unique GrandRapids water delivery system offers lots of rushing water for a fun ride. Height: 7'4". Available in right or left curves. Flume is 9'10" in length. Required deck space: 11'8" x 4'. Weight limit: 275 lbs. 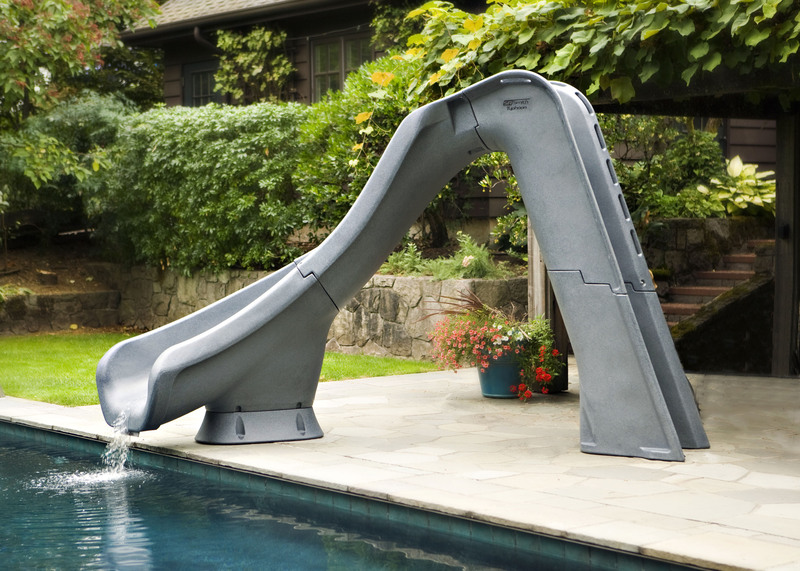 Click the button below to add the Typhoon Swimming Pool Slide to your wish list.